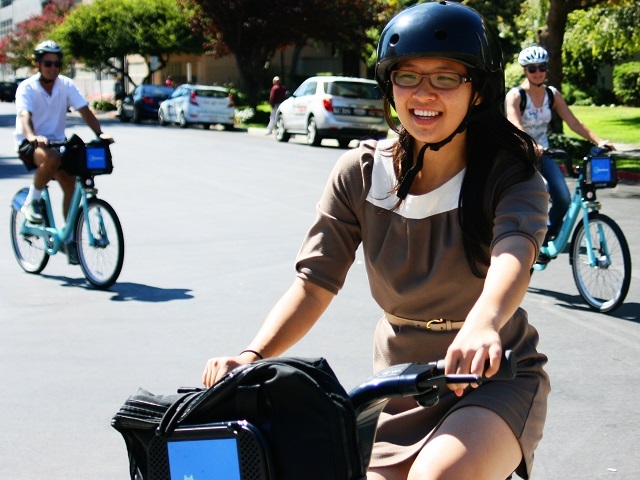 Bike share programs offer people a way to commute to work efficiently and sustainably. Photo by Richard Masoner/Cyclelicious. Today is our annual Bike to Work Day here in Washington, D.C. For many city residents, commuting is ingrained in their daily routine. By targeting how people regularly travel to and from work, there’s a lot of potential to transform current transport patterns—cleaning up our air, improving public health, and saving us all a lot of money. For example, as Yvonne Bambrick explains (below), employers can utilize a range of strategies to nudge employees toward alternative modes of transport. Currently, cities like Mexico City and São Paulo are demonstrating how engaging the private sector can help ensure more efficient, sustainable urban mobility. 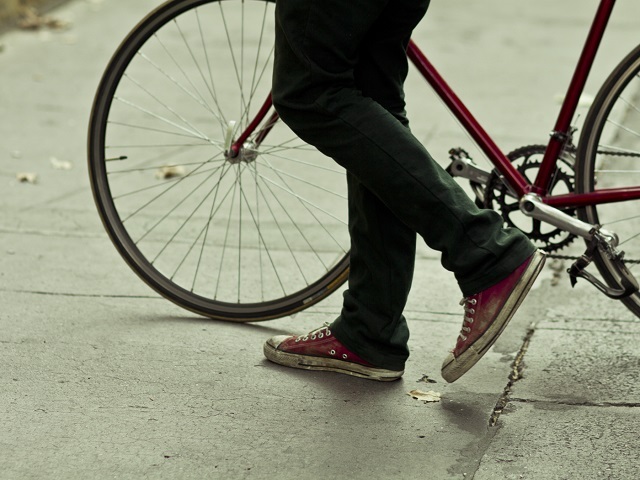 To celebrate our home city’s Bike to Work Day this year, TheCityFix is looking back at some of our favorite urban cycling articles of 2015 so far. From São Paulo to Jakarta, mayors are leading their citizens into the streets and onto their bicycles. 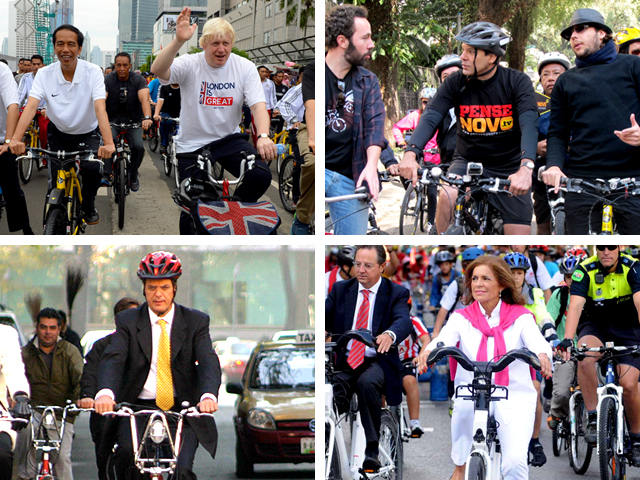 Pictured (from top left): Joko Widodo (Jakarta) and Boris Johnson (London), Fernando Haddad (São Paulo), Marcelo Ebrard (Mexico City), and Ana Botella (Madrid). Ryan Schleeter profiles six mayors in cities worldwide who not only are actively pushing for quality pedestrian and cycling infrastructure, but also regularly jump on their own bikes to get around. 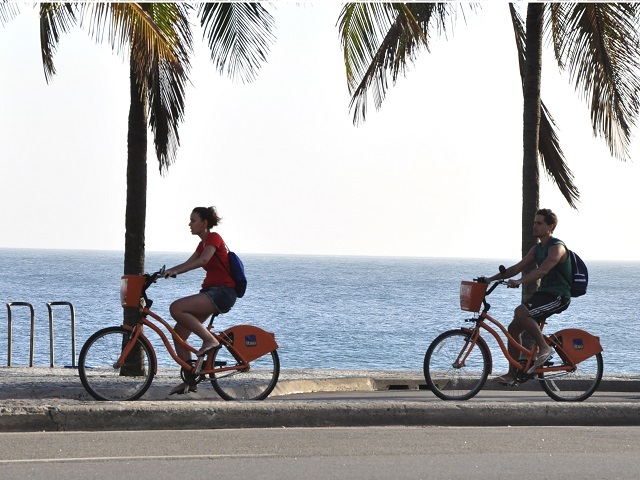 These mayors—like Fernando Haddad of São Paulo and Marcelo Ebrard of Mexico City—are credited with bringing bike share systems and networks of bike lanes to millions of people. The 2015 World Bicycle Forum brought cycling activists and city leaders together from around the world to discuss how we can make our cities safer by design. Photo by Mariana Gil/EMBARQ Brasil. It’s critical that cities are designed for safety. Fresh from the World Bicycle Forum in Medellín, Colombia, Ben Welle writes about various design tools that can be used to create a safe and accessible cycling environment. 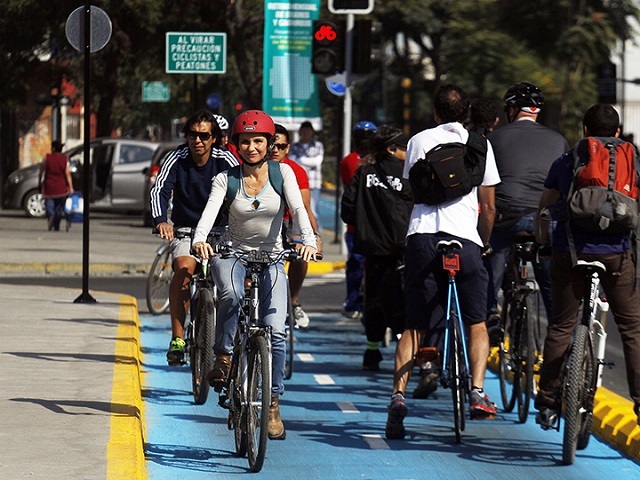 Copenhagen, Bogotá, and Mexico City all offer innovative ideas for developing cyclist-centered cities. Free community events, like this Ciclovía in Santiago, Chile, can be an effective option for encouraging more people to get on a bike. Photo by Municipalidad de Santiago/Flickr. Yvonne Bambrick, author of The Urban Cycling Survival Guide and avid cyclist, talks about evolving perceptions of cycling, the role of community in building a cycling culture, as well as her own approach to biking in an urban context. Cities don’t just become “cycling cities” spontaneously—they require active support from both local leaders and the private sector. The World Bicycle Forum gave city and transport leaders the opportunity to learn from one another and discuss effective ways to strengthen cycling culture worldwide. Photo by Claudio Olivares Medina/Flickr. The World Bicycle Forum produced a wealth of lessons for building bike culture at an international level. Dario Hidalgo highlights some of the ideas that emerged from the Forum for elevating cycling in global conversations of sustainable development.